Master of Ceremony Lee Stevens opens a past Gibsonton Charity Circus. The elephants are coming! So are the untethered camels, the performing dogs and the aerialists! The Gibsonton Showmen’s Circus returns to the Showmen’s Club Jan. 6 for three shows at 1, 4 and 7 p.m. This will be the 35th year for the circus. Get there an hour in advance of each show to enjoy displays of scale models of circus wagons, trucks and the big top, said Lee Steven, chairman of the event. Model builders come from all over Florida to display their creations. 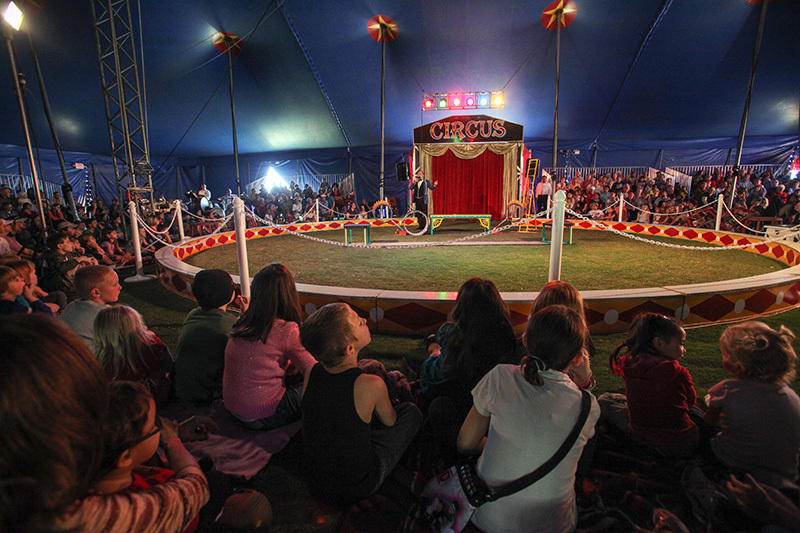 Some visitors are coming as fourth-generation circus attendees, Barnes said. The circus, which is an all-volunteer troupe of performers still active in circuses that perform across the country, costs $12 in advance and $15 at the door. Free tickets for those under 12 are available at the Observer News office. “I’m retired. I couldn’t juggle if my life depended on it,” Steven said jokingly. But there will be professionals at the circus who can. 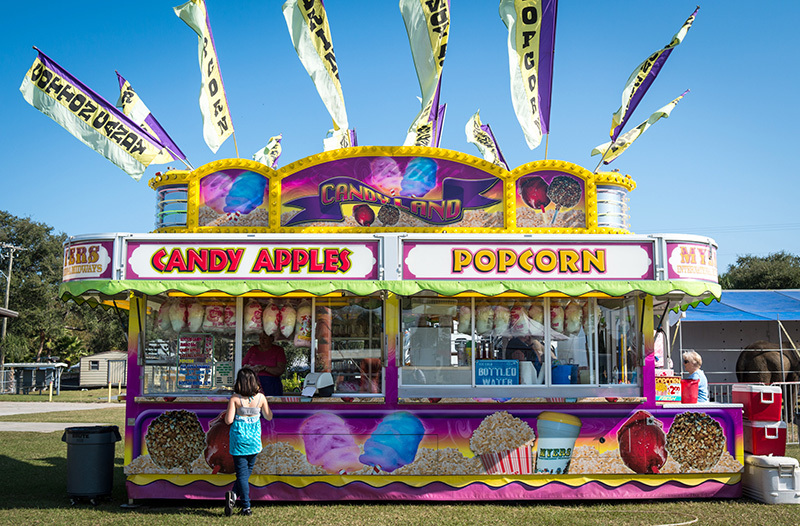 Inside, guests will find all the usual circus fare, including cotton candy and peanuts. 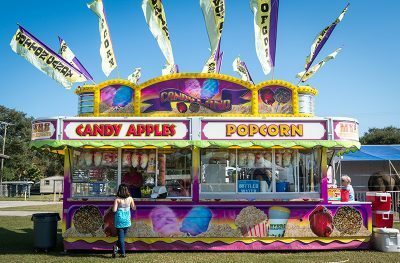 “What draws people is the fact that it is a big-top show under a big tent, and it is for one day only each year,” said circus publicist Chris Christ. “It is put on by the Showmen’s Club membership, but we have guest performers come in from several parts of the country. One of the things new this year is a man — straight from Ringing Bros. Barnum & Bailey Circus— being shot from a cannon. Ringling Brothers officially held its last performance earlier this year. There are 12 to 16 acts performing for each show. Some are new, and some are returning artists very popular with the audience, he said. All the performers donate their talents and proceeds go to charities like the Shriner’s Hospital for Children, which is changing lives every day through innovative pediatric specialty care and Johns Hopkins All Children’s Hospital in St. Petersburg, which provides pediatric care for infants, children, and teens with challenging medical problems. Mary & Martha House in Ruskin also benefits. It provides temporary emergency shelter and longer-term transitional housing for abused and homeless women and children living in unincorporated Hillsborough County. To grab some of those free children’s tickets, which are good with each adult ticket purchased, stop by The Observer News at 210 Woodland Estates Ave. S.W., Ruskin (cash only). They can also be picked up at Paradise Pet Salon, 9417 U.S. 301, Riverview, or Showmen’s Club in Riverview, where the circus is held, at 6915 Riverview Dr., Riverview.